I had great expectations for this film given the "rave" reviews. Looking closer I noticed the "source" of those reviews. My bad. For starters, I love indie films and can appreciate the efforts made with limited budgets etc, but this film had me wincing with the very first spew of horrible dialogue and atrocious acting right to the very end. At times I couldn't believe I was still sitting there...watching this brutal train-wreck unfold before my very eyes. Did the director gather up his 'no experience pals' from his neighbourhood? It appears so. It was truly a great chore to watch to the end. I guess what kept me watching was only to see just how bad it could get. The acting was absolutely abysmal, I use abysmal because if I typed how I really felt this review would not be posted. Sgt "Wendell" must have undoubtedly gotten his acting lessons and slid into character from watching the horrible 'Rambo' films. Lowering ones voice and furrowing your brow do not make a convincing character what-so-ever. It was beyond laughable, as were most if not all characters in every last scene. Was the budget so low that every scene only got one take? Clearly one take was "good enough" to move on to the next. Every opportunity to make it count was missed. Every actor offered little to no emotion,(or if there was any it was beyond hollow) in any character interaction. Character development was so lacking there was no possibility for the viewer to "connect" with anyone. How unfortunate. I found myself constantly shaking my head, mouth agape, not because of the brutality of war, but because of the endless laughable scenes. Pure wincing frustrating comedy. Many battles took place which were pitched only a few yards apart. It was like watching a cheesy blaster battle in a Starwars film. Any possibility of adding military tactics flew right out the window from the very first encounter. If someone did die, spitting up fruit punch as blood was far from convincing. Many scenes were "borrowed" from other great films and were once again utterly butchered with terrible, emotionless dialogue and acting. Why copy a scene that has already been done so well in other films? An instant set up for failure. And fail they did. As it was with every scene that has been done before, or not, it failed. Again, one 'take' was seemingly good enough. It was utterly, highly predictable and poorly executed throughout. Scenes that ended abruptly with no segue. Fiddle music? that just didn't fit the scene or the period. I suppose it was a very weak attempt to add some kind of emotion to already lifeless scenes. My wife and I made a game of guessing the outcome of main characters with much success right up to the very end. I can overlook the weak special effects, and throwing few period pieces of equipment was a nice touch, but this is not enough to carry a film all by itself. Someone seemed to forget this along the way. 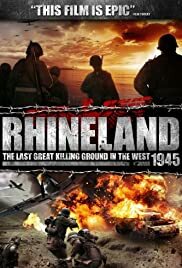 I can think of no other war film that rivals "Rhineland" for absurdity. Again I can appreciate the efforts made by this indie 'team' but I find it an extreme, grave insult to the countless brave men on both sides, who laid down their lives and for their accomplishments to be portrayed so poorly and with such ineptitude by such awful direction, abysmal actors and p-poor dialogue". If you cant do it justice on ANY level then you shouldn't do it at all. 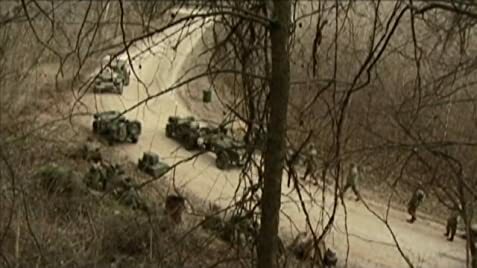 And to all the budding young directors out there take note....this is a prime example of how NOT to shoot a "war" movie. I would be ashamed to put my name on this. Yeeesh.